This 18th century Grade I listed former hunting lodge was extensively remodelled by its new owner. 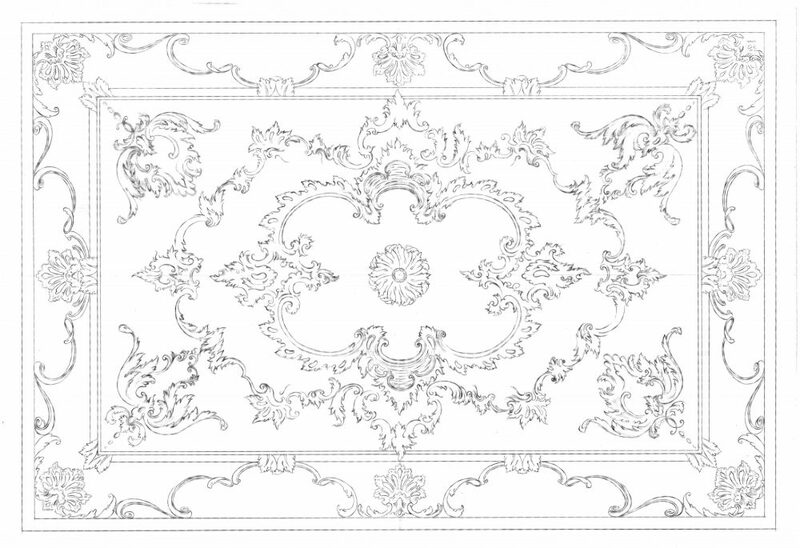 We were commissioned to design and make a new Dining Room ceiling. 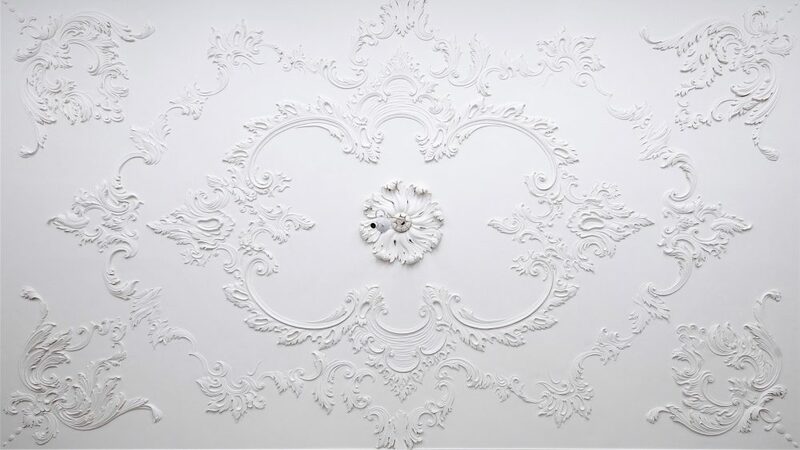 As part of the remodelling work, the roof was raised on the north wing of the hunting lodge, enabling the ceiling height to be raised and improving the proportions of the room. Natural light floods in through three full height windows, which look out onto magnificent landscaped gardens. 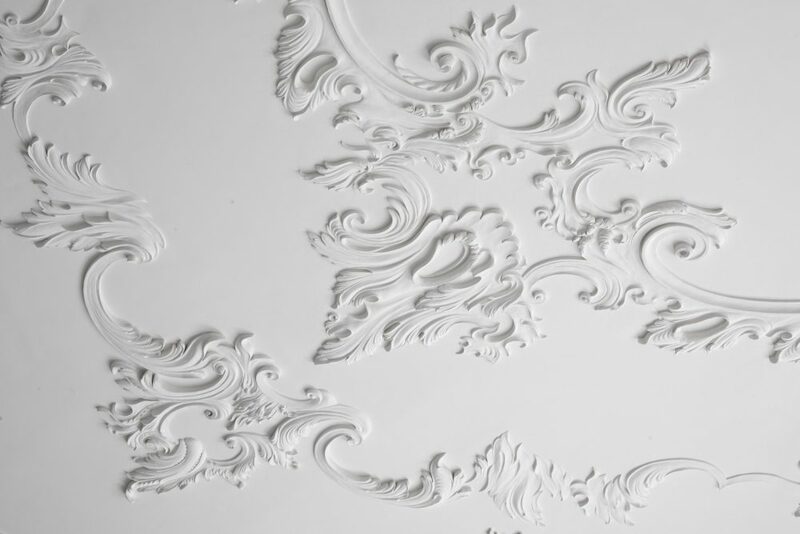 Geoffrey’s design for the ceiling is rococo in character. The idea behind the design is all about flow – the fiery and watery shapes and forms emerge from the background and then return back into it. 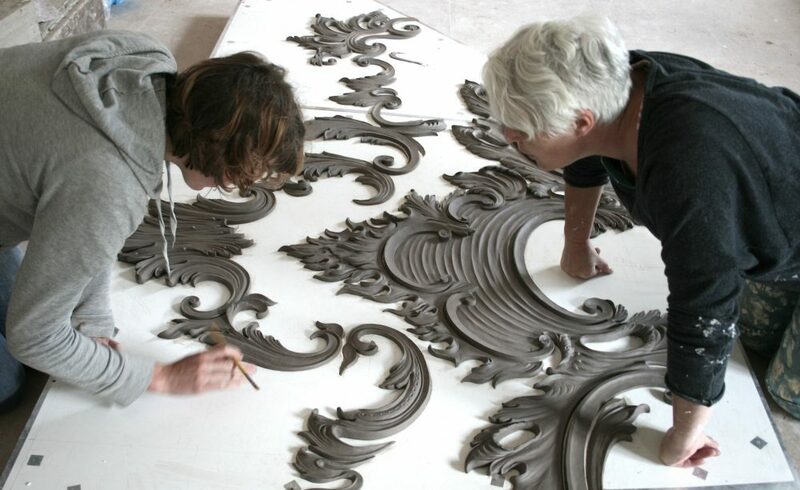 The ceiling was modelled, moulded and cast by a team of four sculptors in our workshop. 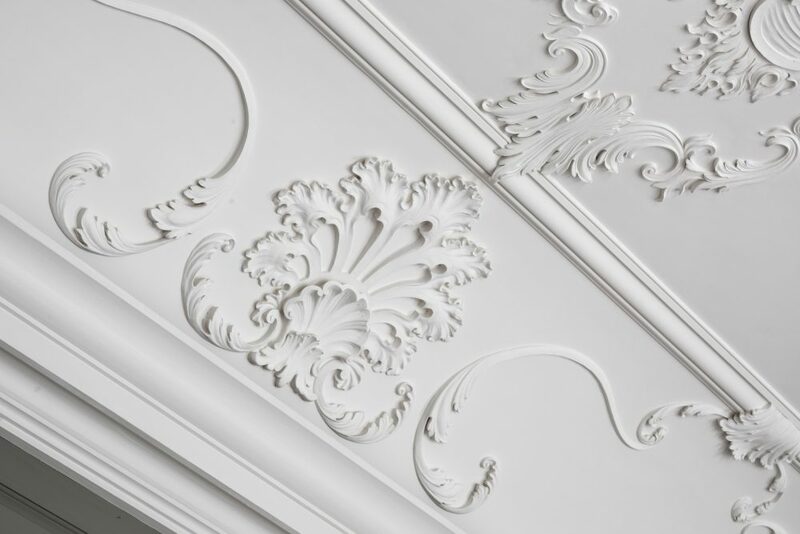 R Moulding & Co were the project builders, and Bristol based company Hayles & Howe installed the ceiling. 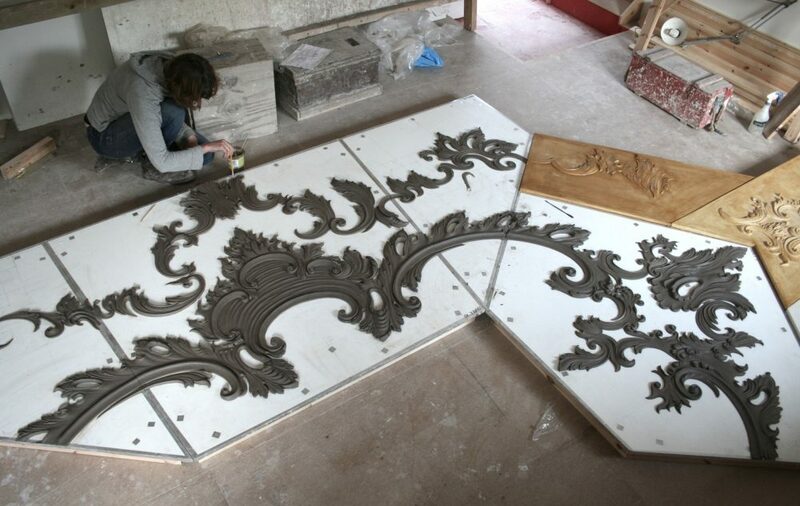 We also made an overmantel for the entrance hall of the house. 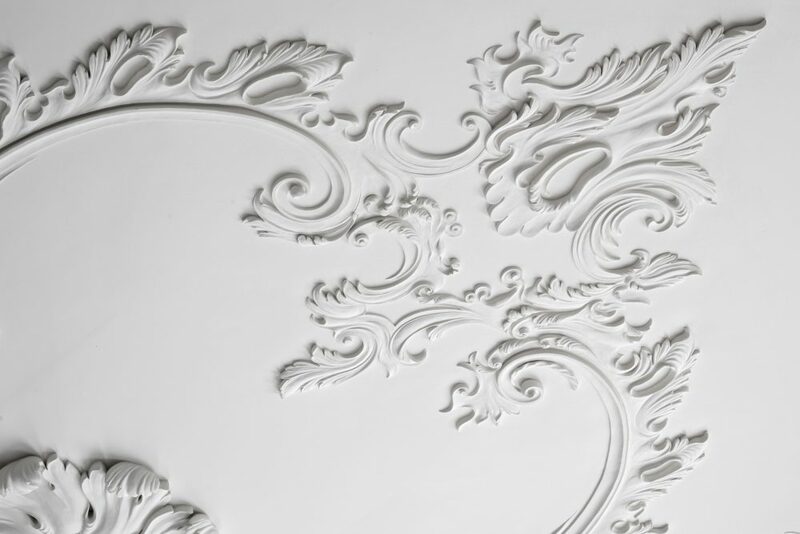 The stag, made in stucco, reflects both the owner’s family crest and the former status of the house as a hunting lodge. Please visit small projects for a picture.